Brewscovery Club – Starting at only $58 a month and includes unique beers from independent brewers around Ontario. These hard to find beers will include about 4L of delicious brews from 3 unique brewers. 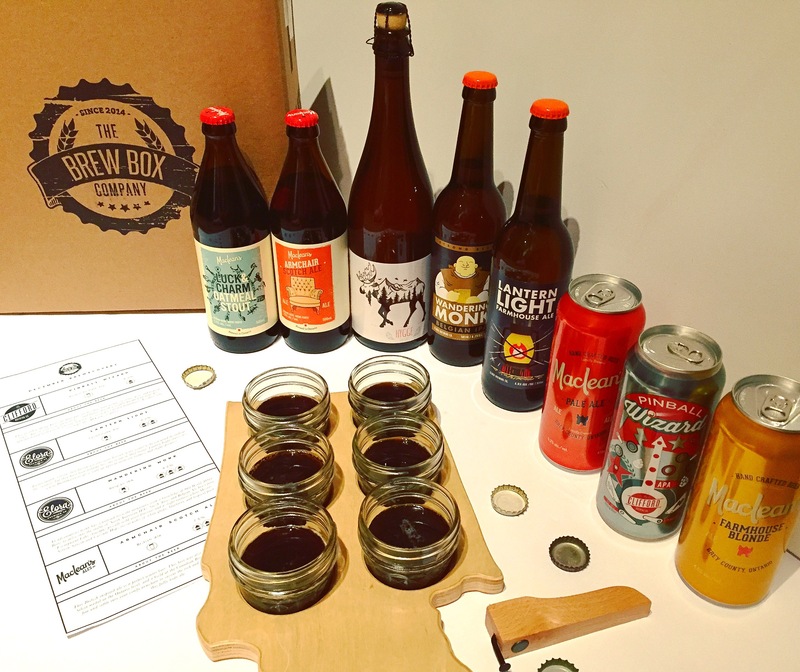 Brewthusiast Club – Starting at only $59 a month for 2 bottles or $99 for 4 bottles, get the most exclusive and high end beers from around Ontario. SawDust City Club – Specific to this brewery, get a mix of brews from them starting at only $72. You’ll be getting 2 premium bottles, 10 tall boys and a few other fun items! SilverSmith Club – Once again, specific to this fun and exciting brewery and starting at only $80 a month. You can expect 8 bottles and lots of other fun items! Beau’s Beer Club – Starting at only $70 a month this one includes favorite from Beau’s Brewery! You’ll find 8 bottles each month! Clifford Brewing – Pinball Wizard – this is a Pale Ale but super hoppy! Get ready for full citrus flavour here! Elora Brewing – Lantern Light – this is a Farmhouse Ale and saison style brew that is funky and light, perfect for patio drinking! Elora Brewing – Wandering Monk – we have a Belgian IPA at a whopping 8.2%! Ladies hold on to ya’ knickers! Tart and tropical flavours! Sawdust City Brewing – Hygge (Hu-Gah) – ooooh a Tripel here, mmm sours are a fav of mine lately, really liking this one! MacLean’s Ales – Armchair Scotch Ale – ahhh this British Ale is malty yes smooooth. MacLean’s Ales – Luck & Charm Oatmeal Stout – mmmm my fav, man I love my stouts! Love the subtle coffee flavour, smooth and goes down easy! MacLean’s Ales – Farmhouse Blonde – another fav, love the blondes! Super light for an ale! MacLean’s Ales – Pale Ale – mmm nice and simple but hoppy too!